“The Land Belongs To Everyone And To No one” RIC activists, Commonweal supporters and other land reform campaigners met at Birnam, Perthshire, in January to discuss the Scottish Government’s land reform proposals in an open, participative forum. Significant consensus was achieved and the findings of the workshop have been presented as a response to the consultation. 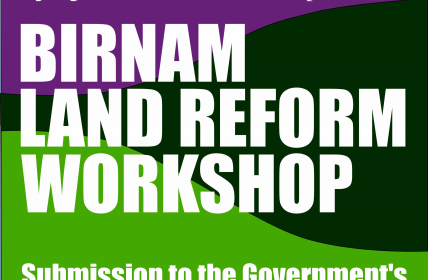 RIC, as a national organisation, endorses the Birnam Workshop submission to the Government’s land reform consultation – below, or in printable PDF format here. 1. The Birnam Land Reform Workshop was a grouping broadly of the radical left, which gathered in Birnam on the 24th January 2015 with the remit to seek to agree a consensus response to the Government’s Land Reform consultation that could be adopted by a broad range of groups. This document forms the outcome of that discussion. 2. The land is the stage on which all the dramas of human life, urban as well as rural, are played out. As such, land underlies all the reforms that Scotland has to make to become a fairer, more cohesive society. Land reform is not some narrow issue that can be stuck quietly in a corner to be dusted off once every dozen years, but a pervasive thread which runs though all the challenges which face our nation. 3. Consequently, this document is not the end of what we have to say on land reform, any more than the bill now in preparation will settle the issues of the land. Both represent stages in a process which is as yet barely begun: as it were, the first tumbling pebbles which presage the avalanche. However, the Government is consulting, now, in preparation for their bill, and so, in this document, we respond, now, to that consultation. 4. We are grateful to the Government for setting up the Land Reform Review Group and for encouraging the Group to seek bold solutions; for preparing the forthcoming bill; and for inviting this consultation. 5. We assert that the land – all the land – belongs to everyone and to no-one; and that is the core principle upon which this response is built. 6. We must therefore create a means of ensuring that the land is treated appropriately, with respect for the wellbeing needs of the land and the community. 7. Land cannot be considered in isolation. A number of policy areas came up repeatedly in our discussions which are not addressed in the consultation document. 8. At several points in our response we propose new competences for community councils. In doing so we acknowledge that at present some community councils are ineffective, poorly run or do not have broad representation of their community. While some training support is also strongly recommended, we see most of these defects as arising directly from the fact that community councils have so few powers and such limited budgets. In any case, we trust in democracy and believe that all alternative solutions are worse. 9. We noted that in community regeneration projects the tasks of funding applications, reports, etc, is forbidding and results in great ‘doers’ effectively being disempowered: disempowered to intervene and to sustain the service to land regeneration and community building and wellbeing. 11. In our discussions we felt that the need for local community oversight and management that applies to land applies equally to inshore waters and the sea bed. 12. There is no point in trying to break up large estates into smaller holdings if the new holders cannot settle and occupy their land. Where new, smaller agricultural units are created, there must be provision for a house to be built. Where a community wants to provide more housing for its members, it must have the power to force the release of land for this purpose, and it must have competence to plan and construct that housing; and ecological low cost and sound self built houses should be encouraged. Planning policy on this scale cannot be driven by ‘local’ authorities based a hundred miles or more away. 13. A related issue is the issue of second homes and of hutting. Participants from as far afield as the West Highlands, Perthshire and Galloway all spoke of villages where significant proportions of the housing stock were second homes, empty for large parts of the year, while people permanently resident in the locality were homeless or lived in caravans or grossly unfit accommodation. 14. Second homes are an unsustainable cost on fragile communities, because they drive the cost of housing above the level that wages available in the local economy will support. We considered the possibilities either of requiring change of use consent for second homes, or of levying very much higher tax on second homes; either might be a partial solution. But another partial solution is the encouragement of hutting. 15. Hutting allows urban people to have their own place on the land, on land that they can become intimate with, and enjoy the benefits of an escape from the city, without driving up the cost of housing in the locality. It greatly lowers the cost of having ‘a place in the country’, making it available to everyone, not just the rich. We also thought that the development of peri-urban hutting schemes, similar to the German concept of Schrebergarten, might help to protect green belt land against more intrusive development. 16. We were surprised and disappointed to see no question relating to the Community Right To Buy. acquisition of land for affordable housing in rural communities. 18. We wish to see incorporation of wellbeing considerations into evaluation of any proposal’s viability, not just gross financial considerations. In this context we would cite Bhutan’s ‘Gross National Happiness’ and Oxfam’s Humankind Index. Questions to which we did not respond have been removed. Q 1. Do you agree that the Scottish Government should have a stated Land Rights and Responsibilities Policy? Q 2. Do you have any comments on the draft Land Rights and Responsibilities Policy? 20. We viewed ‘caretaking’ as the most important relationship that people and communities have with their land. Everyone who manages land must do so with care to keep it in good heart for the future generations from whom it is borrowed; everyone who manages land should do so under the broad oversight of their local community. We agree both that there should be a Rights and Responsibilities Charter (we preferred the term ‘Caretakers’ Charter’), and that it should emphasise these issues. Principle 3 talks about “environmental sustainability, economic prosperity” which are ill-defined terms. Principle 5 should replace “a growing number of local communities’ with ‘the overwhelming majority of local communities”, and incorporate “and access to financial resources” after “opportunity”. We were uncomfortable with the emphasis on private ownership in principle 4; we see no public benefit in large heritable private holdings in rural areas. Q 3. Considering your long term aspirations for land reform in Scotland, what are the top three actions that you think the Scottish Government should take? Introduce highly progressive taxation on large holdings, so that at all scales larger holdings attract more tax per hectare than smaller. This seems to us the most effective way to tackle the problem of grossly unequal land distribution. Provide powers – and resources for discretionary spending – to communities to engage actively in the oversight and management of their lands; and to take over management of lands which they do not believe are being managed in the best interest of the land or of the community. Third parties – tenants, neighbours and in particular communities – should have access to land justice and be given the means to challenge landowners via the courts or tribunals where it is in the public interest and/or regulation is not working. Q. 4. Do you agree that a Scottish Land Reform Commission would help ensure Scotland continues to make progress on land reform and has the ability to respond to emergent issues? 22. We do. We feel there is an urgent need to drive policy forward and to arbitrate disputes between landowners and communities. We also note that some body must take forward the process – which we hope would be an open one – of developing the Charter, whether known as a ‘Caretaker’s Charter’ or a ‘Rights and Responsibilities Charter’. Q. 6. 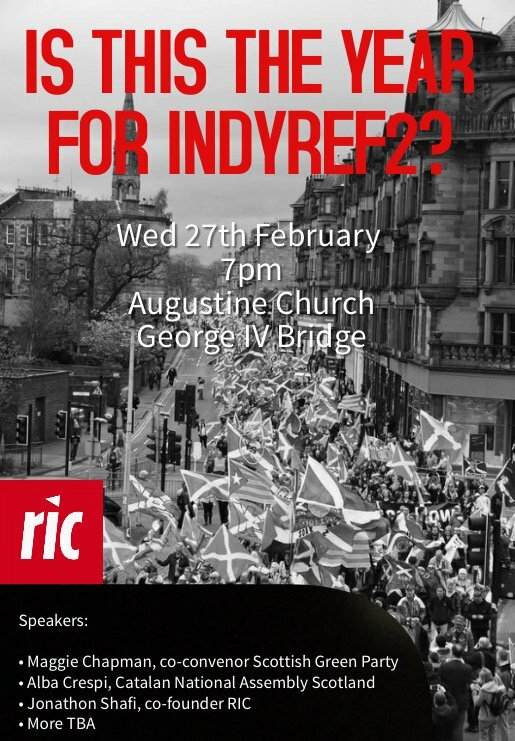 Do you have any thoughts on the structure, type or remit of any Scottish Land Reform Commission? 23. We are concerned that the Commission would be a key target for elite capture. Its membership cannot be appointed from ‘the great and the good’, since its primary remit must be to divest the great of most of their lands. The Government must be aware that appointments to the Commission will be contentious, and that its long term commitment to land reform will be judged on the quality of those appointments. 24. There would be merit in an independent Land Reform Commissioner to champion land reform, for example to resolve disputes on matter such as core paths, common good land and so on in a less bureaucratic and expensive way than a full court case. This office might be analogous to the Information Commissioner; but the purpose should be clear, and should not be an excise to postpone action pending further inquiries, reviews, or investigations. Q. 7. Do you agree that restricting the type of legal entities that can, in future, take ownership or a long lease over land in Scotland would help improve the transparency and accountability of land ownership in Scotland? 25. We agree that restricting the type of legal entities that can, in future, take ownership or a long lease over land in Scotland would help improve the transparency and accountability of land ownership in Scotland. Q. 8. Do you agree that in future land should only be owned (or a long lease taken over land) by individuals or by a legal entity formed in accordance with the law of a Member State of the EU? 26. We have reservations about any land being ‘owned’ in any strong sense of that term at all. 27. Paragraph 47 says “the restriction would just relate to entities: it would not relate to private individuals”. There was considerable discussion on this. A section of opinion within the workshop suggested that it should apply to all legal persons, including individuals: thus, it should also be incompetent for any individual not domiciled in the EU to register title to land in Scotland. 28. Paragraph 47 also says the Government thinks “it would be difficult to apply the proposal to existing landowners”. It might be legally more problematic, but that in itself is not a reason not to try. And it would be woefully unambitious not to try, because there is no reason why a company registered in a tax haven could not continue to own a registered title in perpetuity: in order to pass land onto the next generation of individuals behind it, it does not have to transfer the title, it simply has to transfer the shares. Thus, limiting the restriction “to entities seeking to own land …. after a [future] date” could in theory fail to meet the policy objective completely. 29. We consider that the restriction must apply retrospectively to have any real chance of achieving the desired outcome. Land-owning companies registered outwith the EU could be required, within a defined period, to open a branch office in the EU at which legal notices can be served and not ignored. We also felt that tax might be used to encourage landowners to transfer ownership to entities registered within the EU. The ultimate sanction for non-compliance could be to take the land into public ownership. 30. Another way of tackling the problem (in part) would be for the UK Government to require UK dependencies or tax havens which do not have public company registers to make them public. That is beyond the scope of this consultation. 31. We note with approval the Land Reform Review Group’s recommendation ‘that there should be an upper limit on the total amount of land in Scotland that can be held by a private land owner or single beneficial interest’ but believe that the best way to achieve this objective is through highly progressive taxation. 32. For these purposes, the sum of a number of holdings owned by the same or broadly the same beneficial owners must be treated as though it were one holding. 33. We generally believe that in future the ownership of large holdings of land should be open to no private interest, whether or not a ‘natural person’. We feel that there may be room for some exception to this, for some charities, but only where their charitable purposes reflect the community interest; however, other members of the group felt that charities should not be permitted to own land at all. Where the ownership of holdings of land is in the public interest, it is essential that the identity of all beneficial owners, and of those with ultimate decision-making power over management, should be a matter of public record. If this objective can be achieved by limiting ownership to natural persons or EU-registered legal entities then we are content that it should be so. Q. 9. What do you think the advantages or disadvantages of any restriction would be? 34. We can see no disadvantages whatever. Q. 10. How should any restriction operate and be enforced, and what consequences might follow if the restriction is breached? 35. The land concerned should immediately be placed under the care of the local community. We were in agreement that the final sanction should be that ownership of the land should be transferred to the community, but not in agreement over whether we should say so explicitly; but the weight of opinion was that we should. Q. 11. Do you agree that better co-ordination of information on land, its value and ownership would lead to better decision making for both the private and public sectors? 36. We agree with the fundamental proposal that better co-ordination of information on land, its value and ownership would lead to better decision making for both the private and public sectors. In particular, we would wish to see the Land Reform Review Group’s recommendation ‘that the Scottish Government should map and monitor the patterns of land ownership in rural Scotland as part of implementing its Land Use Strategy’ implemented in full, with the data publicly and freely available on the Web, and linked to ownership and management information. 37. We understand that it is proposed that farmland should be exempt from this data mapping. There appears to be no justification for this, so we consider that there should be no exemption for farmland. Scotland is far behind England in terms of Open Data. The Interim Report on Land Reform by the House of Commons Scottish Affairs Committee contains good information on land valuation. This issue is closely linked with the Council Tax, a Government review of which is imminent. 39. Again there is scope within this proposal to push further. For instance, there is a separate but related problem with landowner abuses of public subsidies. A map showing land ownership, value and use would go a long way to addressing this problem, but a consistent, transparent, standardised method for land valuation also needs to be applied to all land in Scotland. 40. We believe in particular that it is urgent to map and collate data on common good land and common land in Scotland both as a resource for the use of public sector and community groups and in order to prevent further land grabs. Q. 12. Do you hold data you could share or is there any data you would wish to access? 41. We do not, as a group, currently hold any such information. Q. 13. What do you think the advantages or disadvantages of wider and more flexible sharing of land information would be and do you have any recommendations about how this can best be achieved? 42. We believe that it would be possible informally to crowd-source, through a website, information about land holding, ownership and management, based on existing field-boundary data. While we appreciate that crowd-sourced data would not be authoritative, such a website could be established quickly by citizen activism if the Government does not take action. It could also be linked into official and authoritative sources of data if the Government chose to make these available. Q. 14. Do you agree that there should be powers given to Scottish Ministers or another public body to direct private landowners to take action to overcome barriers to sustainable development in an area? 43. We consider ‘sustainable development’ a contentious phrase! We do not agree that the appropriate level of government to intervene in the management of land is ministerial. Land is always local, and it is imperative that communities, through their community councils, should be empowered and should have resources and support to intervene in the management of lands and of inland and coastal waters in their areas where this is justified either over matters of ‘sustainable development’ or of significant community interest. We do accept the need for a mechanism for binding arbitration in disputes between landowners and communities. 44. We feel that the Caretakers’ Charter should be the tool for the establishing and monitoring and defining what is sustainable and what results in wellbeing for people and land. Q. 15. What do you think the benefits would be and do you have any recommendations about how these can best be achieved? 45. Release of land for settlement, for hutting, for local food production and for affordable housing. Q. 20. Do you think a trustee of a charity should be required to engage with the local community before taking a decision on the management, use or transfer of land under the charity’s control? 46. We believe a trustee of a charity should be required to engage with the local community before taking a decision on the management, use or transfer of land under the charity’s control. In addition, we believe that no charity should be permitted to own land unless it includes the community interest among its charitable purposes; some of us believed that charities should not be able to hold land at all. Q. 21. What do you think the advantages or disadvantages would be? 47. At present there are a number of estates in Scotland where the beneficial owners hide behind registered charities whose charitable purposes are contrary to the interests of the local people. While this is not necessarily worse than the situation of communities blighted by feudal lairds, it is clearly contrary to the public interest and as such should not accepted as a ‘charitable purpose’. We heard particular concerns regarding some charities promoting ‘wild lands’. Q. 22. How should “community” be defined? 48. Generally speaking, we believe the pragmatic answer is the community council(s) whose the boundaries include all or any part of the land concerned. We considered, however, that community could in some cases also include communities of interest; e.g groups wanting access to land for recreation such as canoeist and walkers. Q. 23. What remedies should be available should a trustee of a charity fail to engage appropriately with the local community? 49. The community should have power to make if necessary a controlling input into the management of the land – ‘consultation’ is not adequate. Q. 24. Should the current business rate exemptions for shootings and deer forests be ended? 50. Tax on land needs to be revisited generally. While we do not specifically endorse in this document the idea of a land value tax, it is likely that in future we shall do so. 51. We gave consideration to the challenge of balancing how to tax neglectful or absentee estate owners without prohibitively taxing those who are using or seeking to use land productively. 52. We have concerns that current systems of taxing land rental values might be ineffective as a disincentive for large or wealthy landholdings. We do endorse the idea of a highly progressive tax on large holdings, with the specific intention of making it uneconomic for private interests to hold significant areas of land. 53. However, we view ‘sporting estates’ as among the least desirable and least socially beneficial uses of land, and see no objection to business rates being extended to them in the short term while a more general review of land taxation is considered. Q. 25. What do you think the advantages would be? 54. Business rates would discourage some sporting estates, releasing land for more socially beneficial uses. They would also provide some benefit to the public purse. Q. 26. What do you think the disadvantages would be? 55. We do not see any disadvantages to imposing business rates on ‘sporting estates’. While there is some employment associated with sporting estates, the same land would support at least as many people if better managed. Q. 27. Do you agree that the need for court approval for disposals or changes of use of common good property, where this currently exists, should be removed? 56. As we have expressed above we believe there is an urgent need to publicly map and record Scotland’s common good land. Common good land belongs to the community, not to any tier of government whether local of national. We do not agree that court protection over disposals should be removed, but rather feel they should be strengthened. Q. 29. Should there be a new legal definition of common good? Q. 30. What might any new legal definition of common good look like? 58. Common Good should be expanded to include community spaces beyond historic Burghs for example to include community space in new towns and suburban areas, and spaces such as community woodlands or growing areas which could be gifted to become Common Good assets. Q. 31. Do you have any other comments? 59. It is up to all to demonstrate commitment to effectively manage land and rights in land for the common good. The challenge is taking into account current inequalities in power, and the sense especially in disempowered and marginalised communities that nothing can change. 60. Current land ownership stifles land use innovation, for example the management of redundant or neglected woodland. Again we feel this is an area where communities and individuals within communities should be empowered to intervene in a care-taking role. 61. We see difficulties in identifying and approaching landowners as a significant barrier in this. Communities were put off from undertaking stewardship or seeking rights of use of land that appears redundant or neglected by need to ‘seek permission’ from hostile or unknown landowners and by the risk of potential legal ramifications. Intentional obfuscation of land ownership is an aggravating factor, and we feel that in some cases ownership was obfuscated at least in part in order to discourage community engagement in land use. 62. We feel that generally the larger the scale of land-ownership the greater the barriers to the land being managed effectively for the public good and the less approachable or amenable landowners are to change. We are aware of situations in which land is owned primarily as a financial holding asset with very little or no interest in its management. 63. We believe that it is important that communities should have powers to proactively initiate compulsory purchase of land where no effective working relationship with the owner can be established, through an independent commissioner and subject to binding arbitration. 64. It was highlighted that the distinction between land use for the common good (e.g. community benefit) and the stricter definition of ‘common good land’ should be noted. Discussion of how local knowledge of the latter is being and might be lost, the benefits of intergenerational knowledge sharing in relation to maintaining access to common good land, and how ‘forgotten’ common good land is or has been subsumed into privately owned property. There should be further reimagining of what common good land could mean in the future. 65. Another proposed and generally agreed solution was Scottish Government encouraging or compelling landowners to lease or sell land to those in the community who have a specific purpose for it, potentially as an addition to the Community Right to Buy (CRTB) legislation. Q. 32. Do you agree that the Scottish Government should take forward some of the recommendations of the Agricultural Holdings Legislation Review Group within the proposed Land Reform Bill? 66. As we do not yet know what the Agricultural Holdings Legislation Review Group recommendations will be, nor which the Government will choose to take forward, we are unable to endorse them. However we are strongly of the opinion that the agricultural holdings legislation should form part of the Land Reform Bill, since if it is considered separately by parliament the landowners can bring considerably more pressure to bear on legislators than can their tenants, whereas if the issues are considered together the playing field is somewhat more level. 67. On the matter of tenant farmers we would add two key points. We feel that in order to promote good husbandry and long-term care of the land, and in order to allow tenant farmers to make capital investments, tenant farmers need very strong security of tenure and very strong protection against arbitrary or punitive rent increases. We also feel that in order to break up large estates, tenant farmers should have a ‘right to buy’ their land at a clearly defined preferential rate. Such a right to buy must at least confer a liferent on the land, but need not necessarily confer a heritable interest in it. Q. 35. Do you agree that further deer management regulation measures should be introduced to be available in the event that the present arrangements are assessed as not protecting the public interest? 68. We believe that deer – together with grouse, sheep, wild goats and other grazing and browsing species – represent a problem for the sustainable management of Scotland’s uplands which needs to be controlled using legislation – and predators – with teeth. We believe that where numbers of deer or other grazing or browsing species are a problem, landowners’ involvement in management schemes should be a condition of their continued tenure. Q. 36. What do you think the advantages would be? 69. It would allow us to re-establish scrub woodland on slopes, retaining topsoil, improving water quality, reducing flooding in the valleys and improving biodiversity. It would also force managers of some ‘sporting estates’ to re-evaluate their economic activities, almost inevitable leading to more socially beneficial uses of land. Q. 37. What do you think the disadvantages would be? Q. 39. Do you agree that section 20 of the 2003 Act should be clarified so that Ministerial direction is not required when an access authority initiates a core path plan review? 71. In general we believe in the principle of subsidiarity – that decisions should be taken at the most local possible level. All land is local. Broadly, those intimate with the land are best placed to manage it, and we believe that issues regarding foot and cycle paths are best handled by community councils, or, in the case of longer distance paths, by local authorities. We see no need for ministerial involvement. Q. 40. Do you think that the process for a minor amendment to core path plan (as set out in section 20 of the 2003 Act) should be simplified to make it less onerous than that for a full review of a core path plan? 72. We would reiterate again our core claims that the land – all the land – belongs to everyone and to no-one; that we hold it in care for our children and grandchildren; and that the people most qualified to make decisions with regard to the use and management of the lands of a community are the members of the community itself, because it is they who are most intimate with it and most affected by it.